If you are a farmer or a rancher or any other person who requires a cattle management software then you have reached the right place. Today we are going to discuss a few cattle management softwares that are available in the market. We will provide you with the features and benefits of these softwares. These softwares provide a basic inventory system according to the need of the user. These softwares are easy to use and operate. 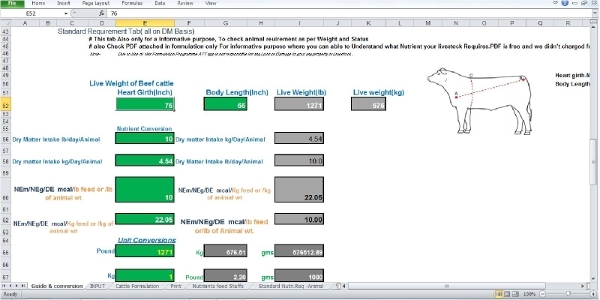 This software provides a real time record keeping of the cattle. 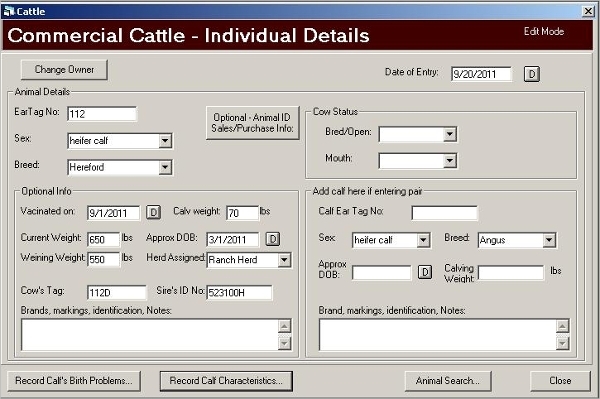 You can record the cattle information as it happens rather than waiting for weeks to fill in the details. It records information at a central location. You can record the information from your mobile phone as well wherever you get internet connection. 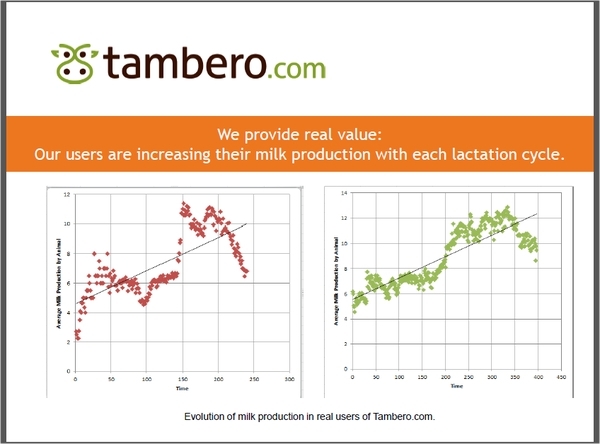 With the help of Tambero you can store information of the cattle as well as the agriculture information. It not only lets you keep track of the cattle but also the other things around the farm such as crops, land parcels, farm weather forecast etc. It runs on your phone and tablets and is available across all the platforms. The aim of this software is also to provide you with an inventory system for your herd and animal records. It has four main sections that include farm setup (i.e., breed names, financial transaction, medical procedures etc. ), Cattle entry (i.e., record cattle purchases and sales, record births and losses etc. ), Cow/Calf reports and General reports. 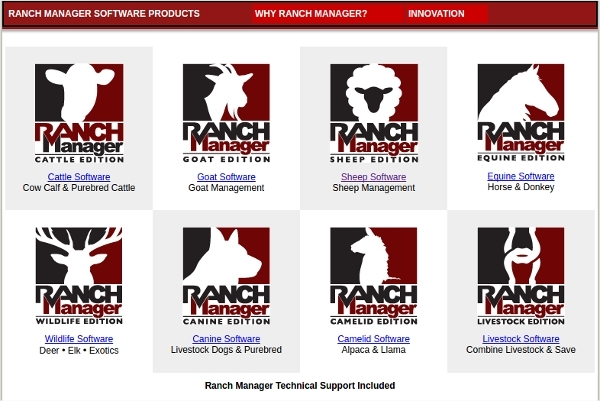 There are variety of cattle management softwares available depending on the platform requirement. In this section we are presenting three different cattle management softwares for three different platforms so that you can work across platforms as well. The functionalities provided by all of them is almost the same but in different platforms. This livestock management software lets you manage the livestock based on the different animal species. You can create projects for different herds and can track the livestock records. It gives you options of breeding management and location management. It also gives you the functionality to record income and expenses involved in the cattle management. This software is designed for Windows XP, Vista and Windows 7 for cattle management and analysis. The general features that this software has are ability to create and select multiple databases, ability to combine multiple herds per database, Ranch and contact information, customize data entry screen for ease of use etc. This android app for cattle management lets you add and view information for each cow and gets you alerts ahead of important dates. As this a mobile app you can edit information on the go. The other features includes upload the tag numbers for your herd, store everything on the phone, no expensive equipment needed. Most Popular Cattle Management Software of 2016 Cow Sense Herd Management Software. This year the cattle management software that has been on the top of the list is Cow Sense Herd Management Software. It is an easy to use and basic livestock management system which is a revolution in beef industry. It keeps records of cattles and their sales. Cattle analysis and livestock weighing can also be done. 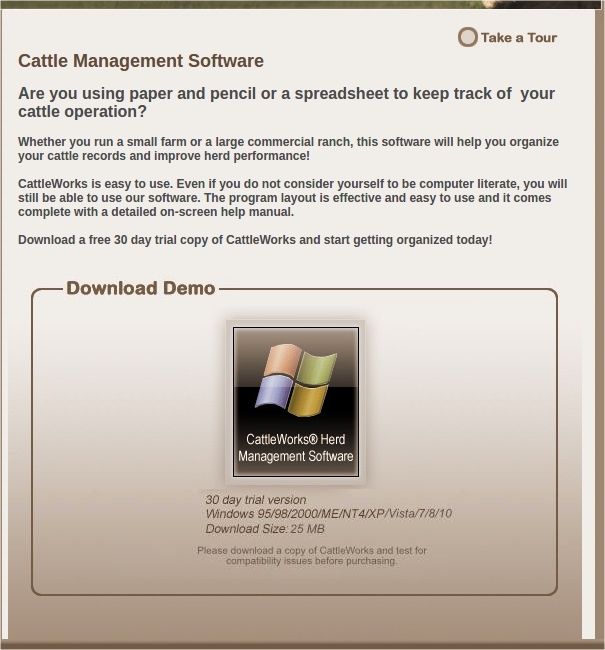 What is Cattle Management Software? In the day to day life of a farmer or a rancher he has to keep all the records related to the cattles and his farm as well. He has to do manage those huge pile of paper work to complete this task which is very tiresome and hectic. In this scenario, cattle management softwares come in picture. These are the softwares that provide an all in one inventory system to its users such that they can save their time and improve work efficiently.The benefits of these softwares can be termed as less paperwork, decrease in time needed, decreased in work complexity, enter cattle details on the go with mobile applications, no expensive equipment required etc. There are many options available in the market today and these softwares are easy to install as well use. The availability of these softwares as a mobile application makes it much easier for the user to use them on the go anytime according to his need and keep a real time track on the activities around the farm.